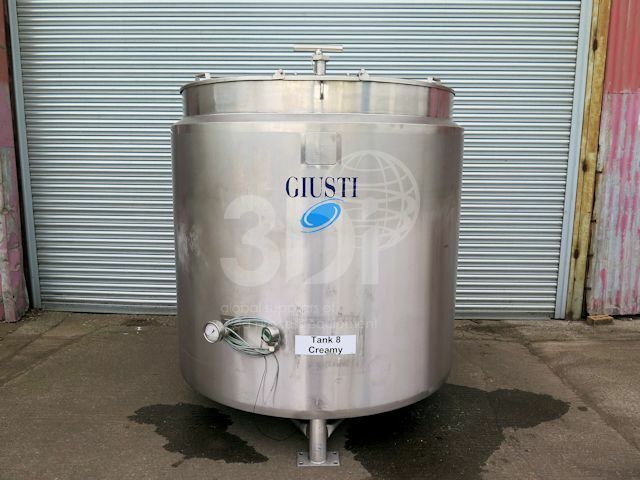 Used 3,000 Litre Giusti Jacketed Storage Tank, manufactured by Giusti, 2002. 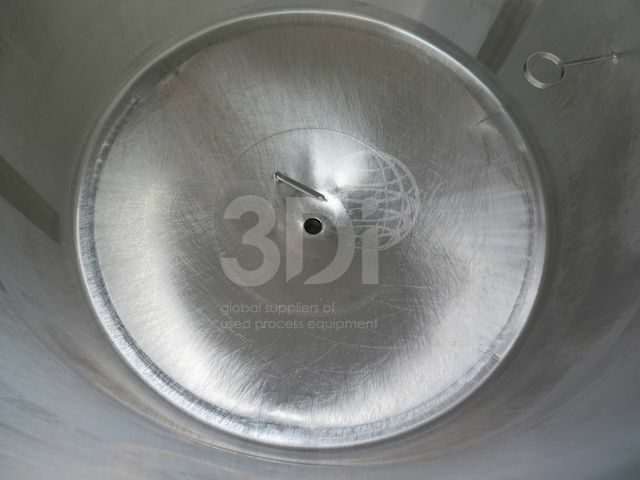 Material of construction 316 grade stainless steel. Orientation vertical, dished bottom, flat top. Dimensions 1650mm id, 1525mm on the straight. Connections (1) 76mm centre bottom outlet, (1) 75mm top side inlet. Design code SEP, design pressure internal atmospheric, design pressure jacket 3.3bar, design temperature 50degC. 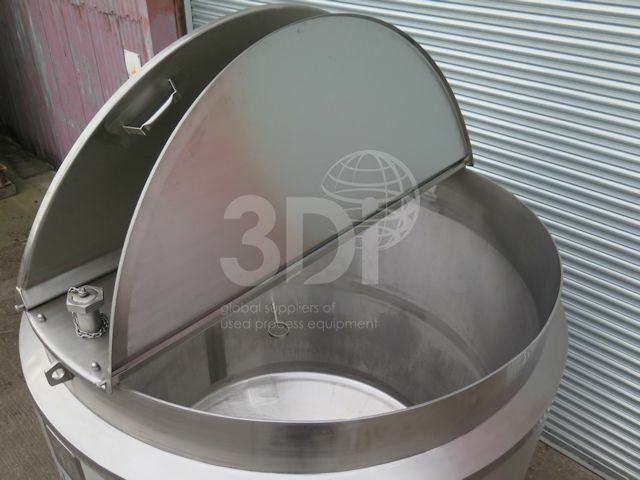 Tank is supported by stainless steel legs and load cells. 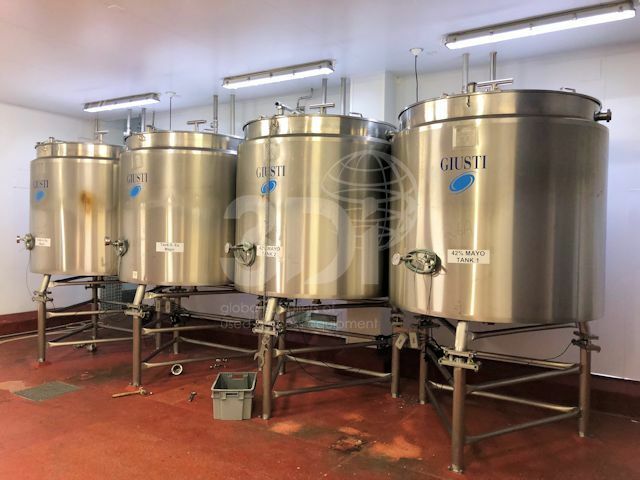 Previously used in the food industry.